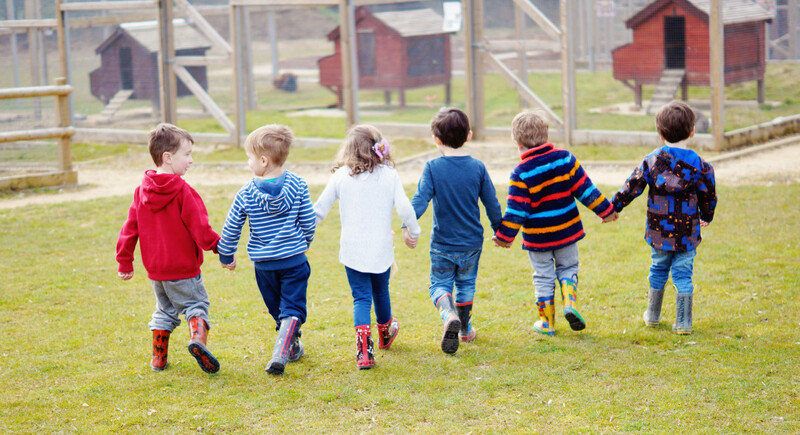 Situated in the heart of the West Sussex countryside, our nursery is on the 500 acre Brinsbury College campus in North Heath between the villages of Pulborough and Billingshurst. It is run by Nursery Manager Sarah Baker. 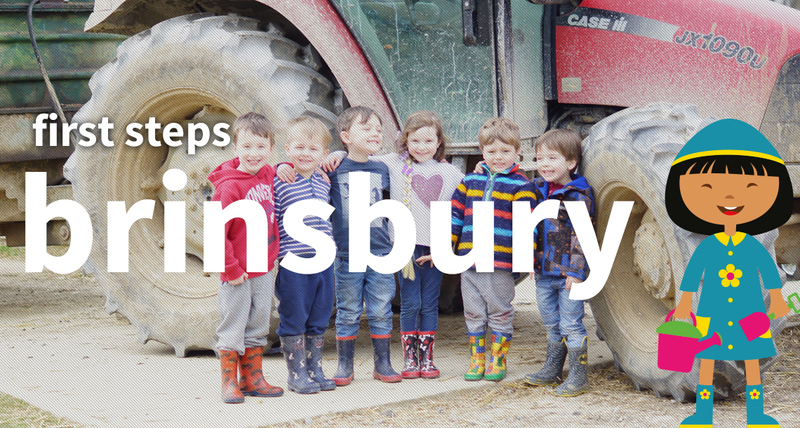 This unique setting provides fantastic opportunities for the children who not only have their own dedicated nursery garden but access to woodland, pasture, a stream, a fully working farm and all that the countryside surrounding the nursery can offer. We have regular visits from the animal care team, get to visit the farm during lambing and even have our own ‘living eggs’ to watch hatch in the Spring. We are surrounded by and actively encourage involvement in nature – whether it’s identifying different leaves, discovering where apples come from, bug hunting or spotting birds’ nests high up in the trees. 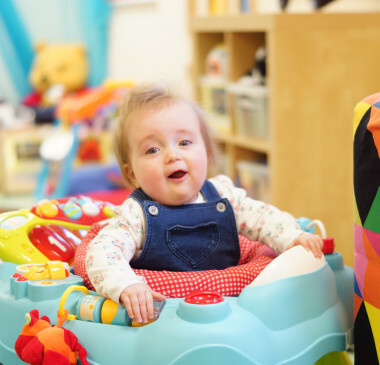 Our Brinsbury nursery has three dedicated spaces for children of different ages and developmental stages: Step 1, Step 2 and Step 3. Each focuses on the individual needs of the children whilst encouraging interaction and play with their peers. 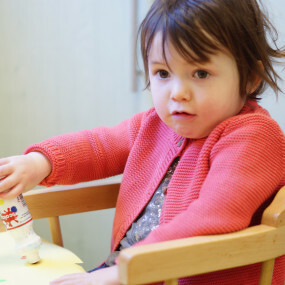 We follow the Early Years Foundation with a dedicated Early Years Teacher and each child has their own Key Person. We offer a rich variety of activities both in and outside. Our children love messy play – whether it’s baking pies in our mud kitchen, painting our hands and feet to make fantastic pictures, modelling with clay or just having fun with sand and water. We also enjoy more structured activities as our older children prepare for school such as circle time where we will look at different topics or read a story together, mark making, Fun Phonics where children will begin to become familiar with the basic sounds they will soon be learning and Woodland Expriences where we make the very most of our fantastic countryside location. We hold a fun Summer Sports Day, encourage everyone to attend and support our involvement at the annual Brinsbury Show and we stage a wonderful Nativity Concert each year. 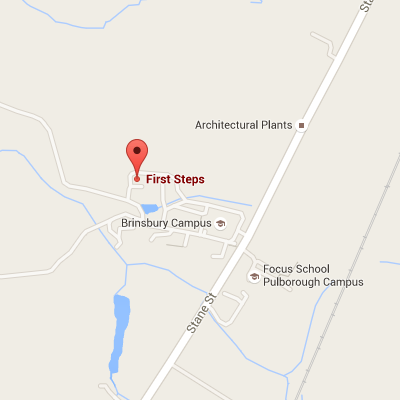 Opposite our Brinsbury Nursery, you will find First Steps Village, a self-contained play village for children aged six and under. All of our nursery children have access to the Village as one of our many learning resources, and it is also open to the public on a pay as you go basis throughout the week, on Saturdays and during the holidays. 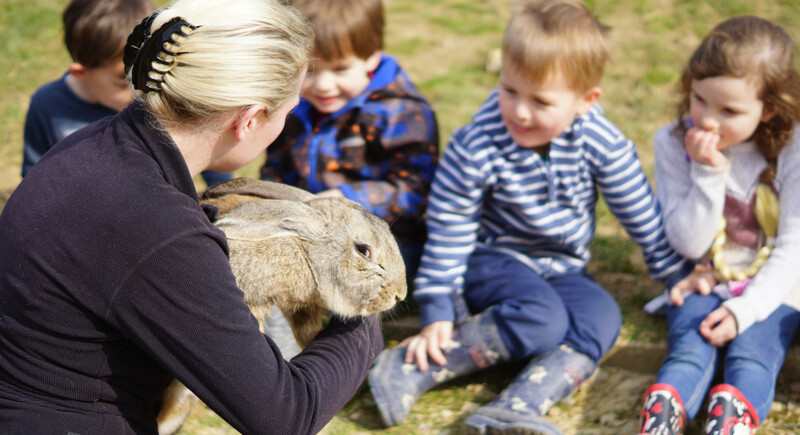 With a café, vet’s, farm shop, construction site and hairdresser’s First Steps Village is the perfect place for children to explore and enjoy the many benefits of imaginative play, something we really believe in at First Steps. We make the most of our wonderful location on the Brinsbury campus enjoying regular visits to see the animals and exploring the beautiful countryside. We also have our own fantastic space both in and outside where our wonderful team encourage the children to learn through play. We serve home made delicious food which the children serve themselves at lunchtime. Nursery meal times are also a social occasion much enjoyed by all the children.